CHITRAL: The police began a crackdown on hashish and destroyed cannabis plants and arrested growers in Mulkhow area of upper Chitral. 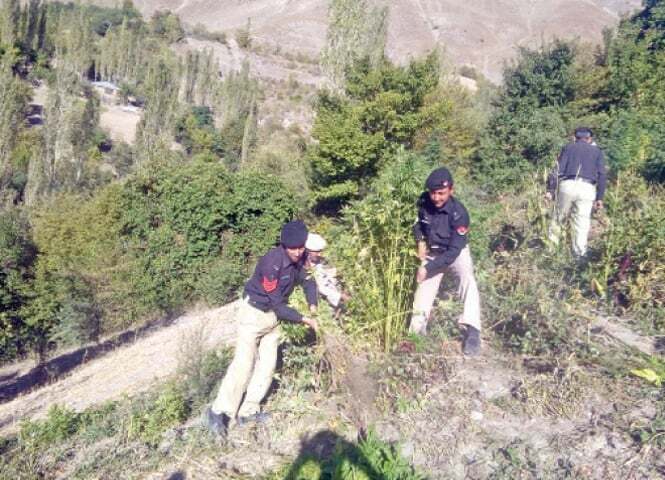 A police official told Dawn that sub-divisional officer of the Mulkhow police station Attaullah led the crackdown on the cannabis crops cultivated on a vast piece of land. 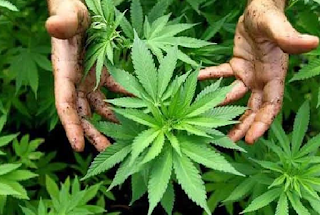 He said the police also recovered a large quantity of liquor from the possession of hashish dealers, who were allegedly involved in the peddling of other drugs as well. The official said the police had zero tolerance towards the production, sale and use of narcotics and liquor in the district and would continue the crackdown on those involved in it until their elimination. Also in the day, former district secretary of Pakistan Tehreek-i-Insaf Chitral chapter Saifur Rehman Mashkoor has demanded of the central and provincial leadership to ensure the party’s reorganisation in the district. In a statement issued here on Monday, he said the PTI’s current district president had miserably failed to strengthen the party in the region. He said the party had dedicated workers and was popular in the area. Mr Mashkoor said the party’s district president had lost many elections but continued to occupy the office. He warned if the leadership didn’t step in for corrective measures, including reorganisation, the party would disintegrate in the district.